New TRI CONCEPT design with a 32 panel construction. 1.0mm high shiny PU material for optimised shape and durability. 5-layer PV-lamination for best playing characteristics and softness. 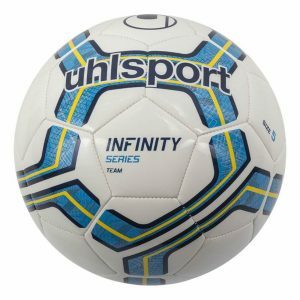 Personalise your Footballs with your team or club logo! We offer a personalization service with both single or multicolour printing available.